Okay team. We have been doing this for years, haven’t we? Leading by challenging our people to innovate, collaborate more, to take more risks, challenge the status quo, experiment and learn, take more autonomy. Go us! Look at us being people leaders, practicing the art of ‘leading’. None of this is wrong, by the way, but is this why people follow us? DO people follow us? That sneaky creeping sensation took hold of me firmly. I went for a walk around the harbour and gave myself some time to follow this smell down a path. I had no idea why things suddenly didn’t fit with me. I sat and looked at the sea, drifted through layers and layers of thought, thinking about Sinek’s words, my own experiences of when it stuck versus when it didn’t. And then the epiphany happened. For twenty years now, I have been dealing with symptoms — not the root cause. I thought I had been really solving underlying issues, like trust, transparency, courage, resilience, high performance in teams, but these were just symptoms or side effects. The root of issues in these areas are from one thing only: Safety. Let that sit for a bit. 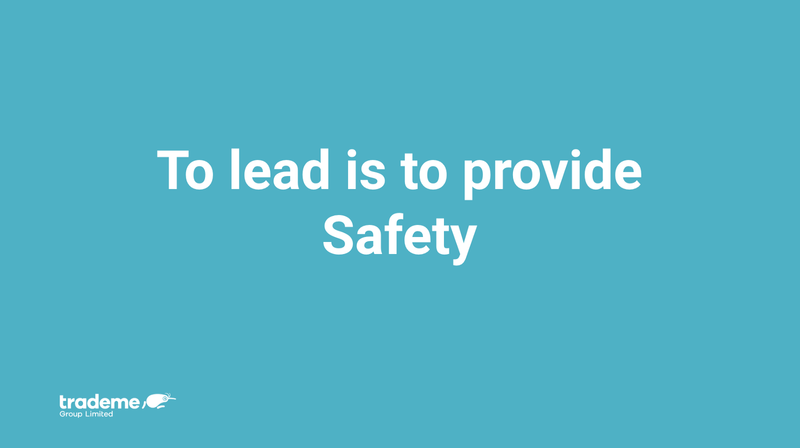 To lead is to provide safety. 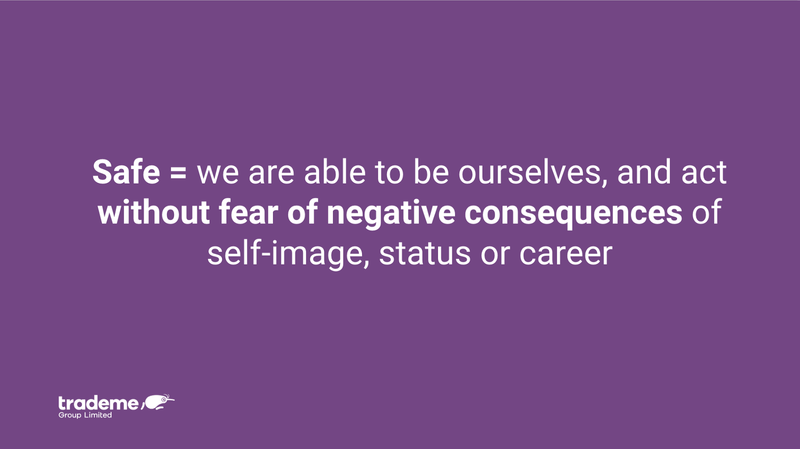 By safety I mean psychological safety — the ability to be able to take interpersonal risk in a group, without fear of negative consequences to one’s status, career or self image. It hit me in the face, that I have been thinking about certain principles as equal, in particular I share the values of Modern Agile for which this is one of four principles. 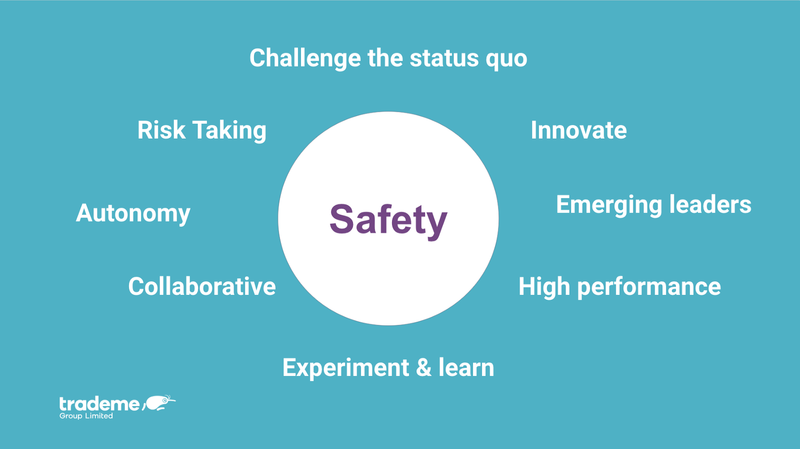 When I have worked with people on these values, I have been spending equal time on them, without realising that Safety is the fundamental keystone of where all else comes from. 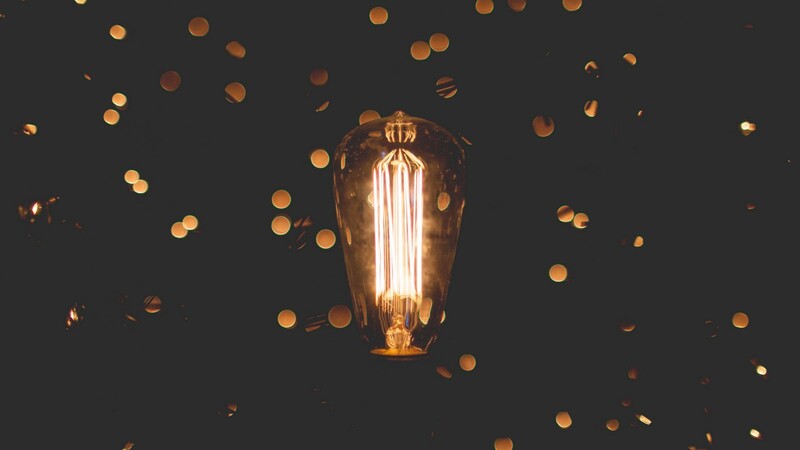 I felt the layers and layers of thinking wash over me as my perspective changed in a single moment — it’s like I saw the Matrix, and many other things became crystal clear. 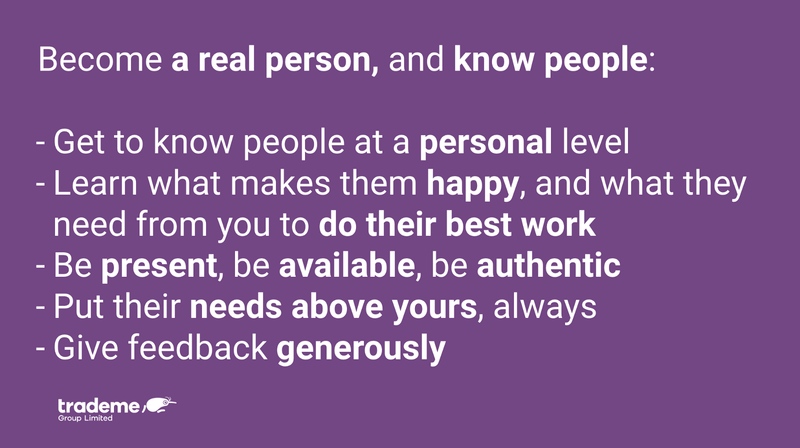 Everything we ask of our people is significantly harder when they feel unsafe to do so. How can anyone challenge the status quo if it literally means you are actively going against the norms of your culture, or your boss? How can you innovate when you are unable to do much more than protect yourself from harm? 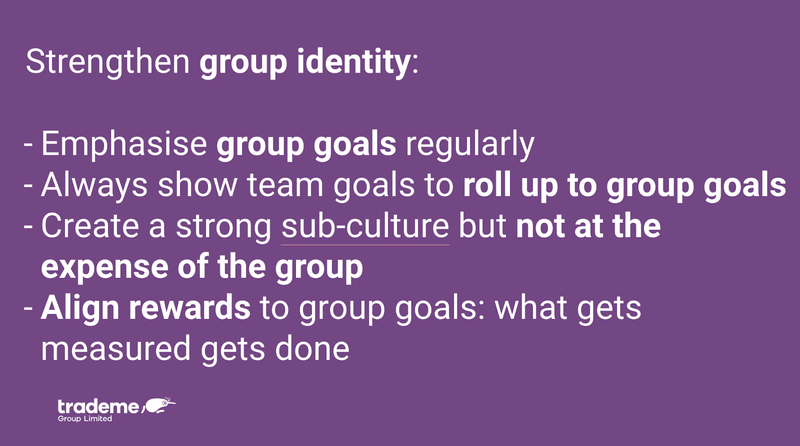 Why collaborate with another group when it can be perceived as a weakness or lack within your own group. Everything we ask of people becomes a side effect or outcome of feeling safe, or unsafe. When people do manage to push through and change things in an unsafe culture, it’s by sheer grit, courage and determination rather than having a culture where this stuff flourishes. In prehistoric times — to be alone, meant to be in danger. Your life was yours to protect and it was constant. You had to survive: feed yourself, protect yourself from dangerous things, shelter yourself — all alone. You had to be watchful, mindful and vigilant. Very quickly the early people realised that by forming bonds between each other and creating tribes, they would be safer as a group. They could nominate people to hunt and gather so that others could rest. They could have people watching for wild animals or other tribes that were going to attack, so that the rest could sleep. Others could relax more, learn new skills, socialise, procreate — all of those things that couldn’t happen if you are forever watchful and in that flight or fight mode. People within tribes were nominated as their leaders — they were charged with protecting the group first and foremost. They were given special treatment, prime cuts of meat, eating first, the best they had. But why? Well, it was as though the tribe knew that leader was the one who would need to be the strongest, as they would be the one who threw themselves in front of danger first, to save the rest. It came with taking on the mantle of leadership. They were likely to be the first to die, and they knew it. So here we find ourselves — thousands of years later, in the same boat. We, as a society need leaders to offer us protection. We need to know that someone has our backs so we can relax a bit on being ever watchful of the next arrow flying at us. That they will be thinking about us when they make their decisions, and what’s best for the group as a whole. That they won’t run from the danger and leave us exposed. That they know who we are and that they care about our wellbeing. So, as leaders, did we even know we signed up for this? Did we know that when we got that promotion to management that we will be the first into the fray, the one to take the full impact of the blast? If we haven’t considered this as out role, now is the time. 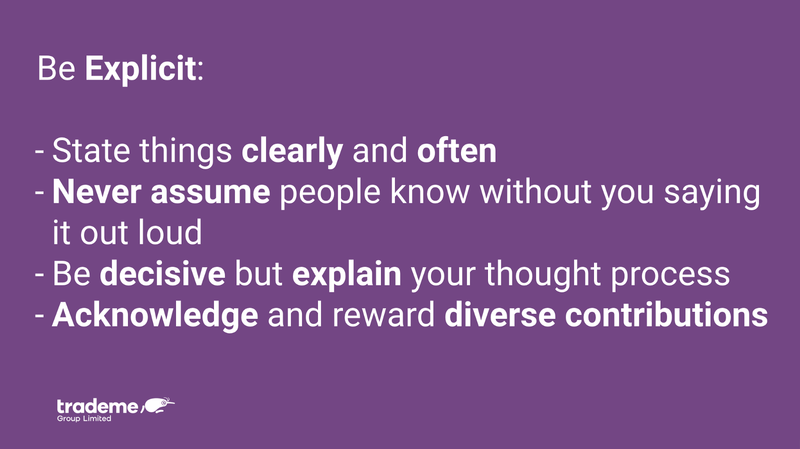 What have we done to show our teams that they are safe to do the things we are asking of them? Safety is a feeling, not an activity, and it is fragile. People can feel safe until the moment one thing makes them feel unsafe. 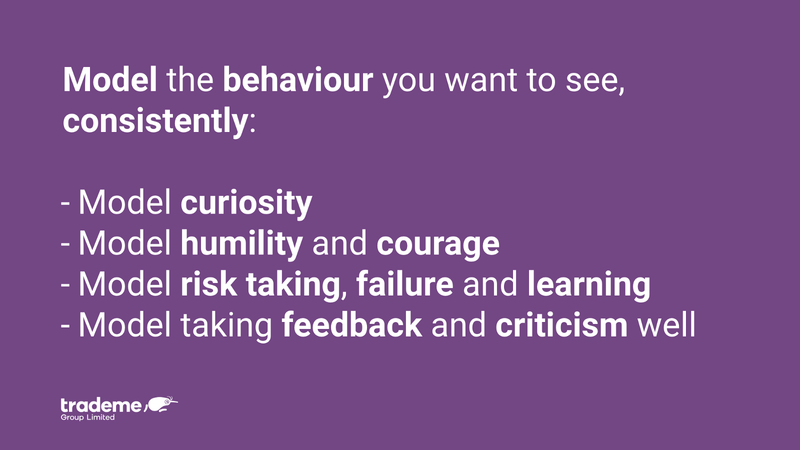 If we don’t even acknowledge as leaders that safety is our primary responsibility, we are risking unsafe behaviour constantly. 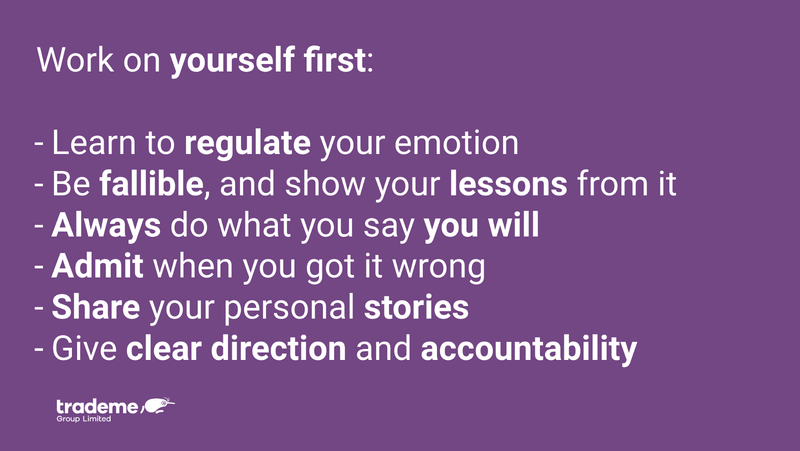 I’m not going to leave you all hanging; I did come up with some pro tips for this for my talk, so here you go. But before I do, please let this sit with you. Please go deeper than just the words. 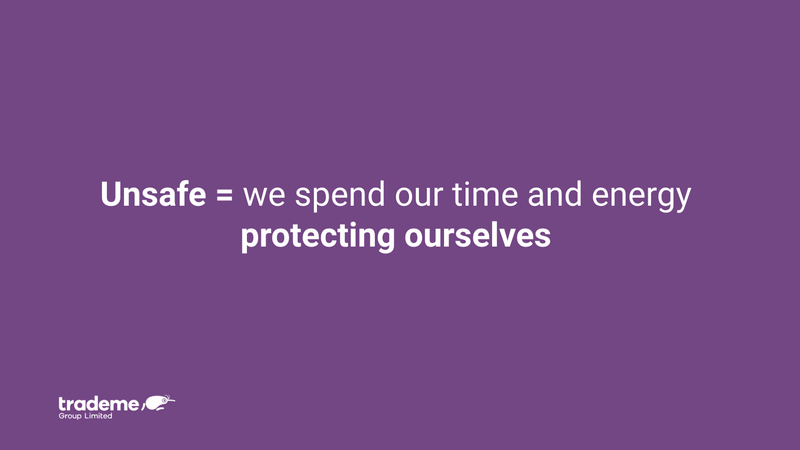 Think about times you felt safe to push out, and when you felt unsafe. Now that I see it, I cannot unsee it. I got up in that next half day session and said I was sorry. I said I realised what we had asked of them and yet we have done nothing to provide them the safety for which to do so. I said we will work on this with them explicitly and make sure it’s different this time. And it will be. Life lives here. Stories about how we're building Trade Me.